Rem Jackson: "When you take the focus on the teachers and put it solidly back on the students, all of a sudden everybody starts to get it in ways they haven't before." What you believe about professional learning communities (PLCs) may be wrong. That's what Rem Jackson, CEO of Top Practices Education, has discovered in working with a group of educators from around the world whose goal has been to create sustainable change in schools. Jackson understands the challenges of change. 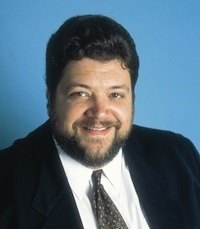 In 1994, he led the team that founded Classroom Connect, now a division of Houghton Mifflin Harcourt, which helps K-12 teachers integrate technology into their instructional practices. In 2007 he founded Top Practices, a consultancy that specializes in change management in the education environment. In this interview he shared his observations about the misplaced areas of focus for too many PLCs and how to get naysayer teachers on board with new programs. Jackson will be speaking at two sessions on these topics at the FETC 2011 conference, being held Jan. 31 through Feb. 3, 2011 in Florida: "High Performing Professional Learning Communities: Key Skills That Achieve Result" and "Leading with Vision: How to Negotiate with the Future." THE Journal: What tends to be the most effective way to introduce the concept of the professional learning community into a school? Rem Jackson: [Teachers] need to understand why they need PLCs. The best way to do this is by looking at data. Get the teachers to look at last year's results. What do they see? How did the kids do? What major areas need some work? Get them on the same page as to what to focus on. PLCs are just a vehicle to get them to focus on the outcomes and results they want to see. THE Journal: What mistakes do schools often make in setting up PLCs? Jackson: They focus on protocols; they focus on process, as if just doing PLCs is what matters. What matters is results. Believe it or not, some or many schools are doing so-called PLCs but aren't actually seeing progress in the students. They focus too much on the needs of teachers. PLCs need to be solely focused on looking at assessments that directly show that students are making progress on state standards or key skills and concepts that state tests measure. THE Journal: Schools and districts seem overrun with seemingly arbitrary policies that can affect teacher performance, morale, and productivity. How can a PLC help address that component of the environment? Jackson: Ironically, my previous comment answers that. In fact, I think too many PLC programs focus too much on teachers and teacher feelings and morale. But it's fascinating when you see teachers transition from a focus on teacher needs to student results. You start to see the cream rising to the top. [In] PLCs that focus totally on looking at student assessment results and on strategizing how to help students meet the assessment targets, all the other stuff becomes less important. The true professional teachers step up and want to make sure their students make progress. They also start to see how this laser beam focus makes their instructional practice more efficient and gratifying. Some teachers will focus on making excuses, blaming policies, and complaining about expectations, but that only happens when the PLCs are organized in a way that enables that kind of behavior. It all goes back to developing a culture focused purely on student results. THE Journal: So how do you prevent the misplaced behavior and get the PLC back on track? Jackson: The real key is to focus on the actual student results, utilizing technology to be able to watch videos, listen to student recordings, etc. When you take the focus on the teachers and put it solidly back on the students, all of a sudden everybody starts to get it in ways they haven't before. I'll be sharing data on this at the conference. The second thing I'll spend more time on is communication strategy. Most educators, most people involved in the kinds of organizations that we're talking about, don't communicate to their groups in ways that are going to engage and get people involved. They tend to focus on "Here's the policies; here's what we need to do; here's where the bathroom is"--the nuts and bolts that people need to know. But in no way does that actually take into consideration the conversation going on in the minds of these teachers we want to influence. The teachers are worried about a lot of things--about difficulties they're having in their jobs. They're worried about certain students and the lack of resources. They have a big laundry list of reasons why nothing's going to work, and how no matter what we do nothing is going to change. That's the conversation that's going on in their minds. That conversation is the one to get involved in. Without overtly addressing it and affirming it in a way that turns the conversation into an opportunity to whine and complain, the strategy is to address the realities that already exist and then frame it in such a way that if they bought in, if we all did this together, if most of us were engaged, we could, in fact, make progress and changes in our environment. The first thing is to know what their reality is and accept it and then change your messaging so that we're addressing it. Then we need to communicate that in a way that would seem to most people excessive. We need to use a variety of modalities. Some people accept information electronically, some only paper, some face to face; some people are auditory; some are visual; some are kinesthetic. There has to be repetitive, almost overwhelming communication in a way that finally breaks through and over time helps move the organization. That's something that, quite frankly, only sophisticated marketing people understand. No. 1: Engage me in something I care about. Otherwise, I won't even hear you. No. 2: Make sure the message is coming at me from so many different places, eventually I actually start to absorb it. THE Journal: For schools that already have introduced PLCs, what's the next step? Jackson: Teachers should develop pacing guides that assure all key state skills are assessed and taught prior to state testing. Teachers should identify benchmarks to be taught and identify and create assessments to measure the benchmarks. Teachers will identify goals for the students to meet the benchmarks on a weekly basis. They will plan lessons that directly teach the students how to be successful in meeting those benchmarks. They will assess the students and determine if the benchmark was mastered. Teachers should assess students on math and reading benchmarks on a weekly basis and analyze results in grade level teams during professional learning community meetings. Teachers will use this formative data to identify students that are or aren't reaching grade level proficiency on these benchmarks and will strategize collaboratively on how to help struggling students. All should share strategies. Jackson will be speaking at the FETC 2011 conference in January and February 2011 in Orlando, FL. Further information can be found on the FETC's site here.